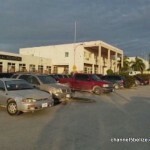 Register Log In AmbergrisCaye.com Home Forums Living in Belize All Services Resume at K.H.M.H. There is good news from the Karl Heusner Memorial Hospital here in the city. The K.H.M.H. Authority informs that as of this Monday, the national referral hospital is back on track. 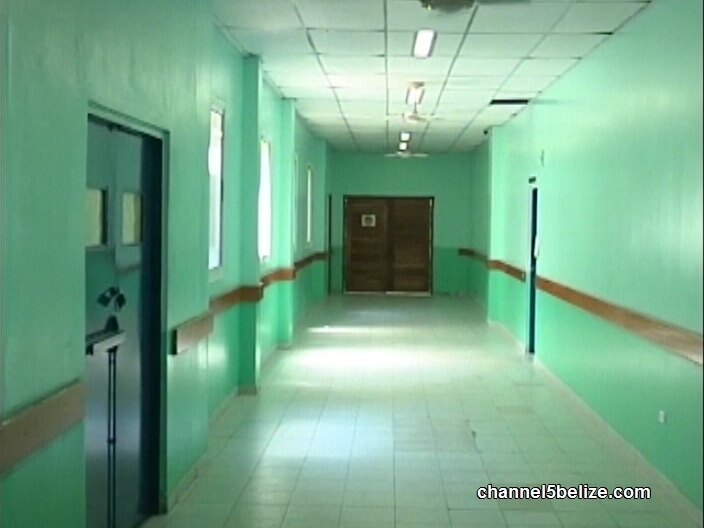 Services had been interrupted for six long months as the hospital carried out renovations to the operating suites. That work, however, was affected by structural damage to the roof of the building which resulted in a cut back of services. Tonight, the Authority says that all services offered are now available and patients are encouraged to access them as needed. Yesterday, the KHMH announced that it's fully back to 100% functionality - 7 months after a structural failure. You'll remember that in mid-March, the hospital went into emergency mode after the roof started falling over their X-Ray area. An assessment was done, and it was determined that over a third of the hospital's roof had weaknesses that made it dangerous for patients and staff alike. So, the hospital administration had to make the hard choice to reduce its some of its services significantly to accommodate the structural repairs. Those repairs took several months to complete. But today, the Administration invited the press in to see the major improvements that were made since the construction has concluded. "The fault occurred in the front area near the Imaging Department. After the engineers came in and did the assessment, they found out that it was the entire depth of the hospital from the main facility, the front of the facility all the way to the back. So if you look at the walk that we went through, its actually the width of our facility front to back and the fault was within that area. Because the beam were weak, there were weakness identified that needed some physical support, there were some props that had to be installed temporarily until the beams were received and installed and so it was advised that the 20 feet diameter from the central point we had to identified as an unsafe zone and so all those services along that path had to be relocated to other areas of the hospital. So we had our specialist outpatient clinic which is at the front. We had to cut that service almost in half, because we were not able to access the clinic from the main entrance - the same area you access a while ago. Our Imaging Department, we had to reorganized our access points, opened new doors, relocate some of our actual equipment, CT scan and other areas. We had to do relocation in an effort to respond to the needs to the patient while at the same time keeping it safe." 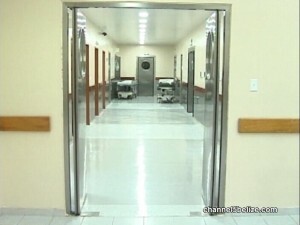 "The central sterilizing area is another part, that we completed the operational part of that department. We had to move out completely to another area and then the operating suite, Post Anesthetic Recovery Room and our 3 operating suite, our day room - all those services had to be relocated. It wasn't stressful, but it was challenging for the staff. The staff were able to respond to all the changes that we had to make. We had to work amidst the construction. 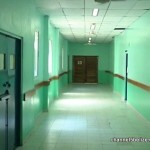 There were some barricades throughout the entire hospital, restricted access in certain areas. 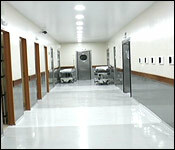 Staff had to access the hospital through other corridors. It was challenging. Through it all we try to maintain optimal service given the challenges and so here we are now with the entire area repaired within record time and our services restored completely." "Is there any kind of contingency plans going forward to ensure that the hospital does not reach to that level of disrepair?" "Honestly, it's hard to tell, because some of these things are behind the walls. You are not able to see it if there isn't a problem. The hospital has been here 23 years. From the start of construction, maybe 26 years. And so there are other assessments that we plan to put in place in terms of ensuring that moving forward there are key areas that we will go in and do in-depth assessment to ensure that something like this it doesn't take us." 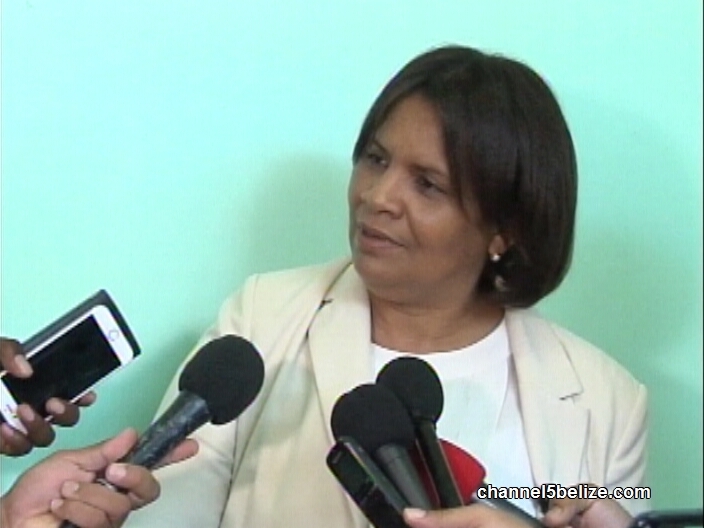 The additional $400,000 for the roof repairs was paid by the Government. The CEO said that the hospital suffered a notable loss in revenue during the months of reduced services. 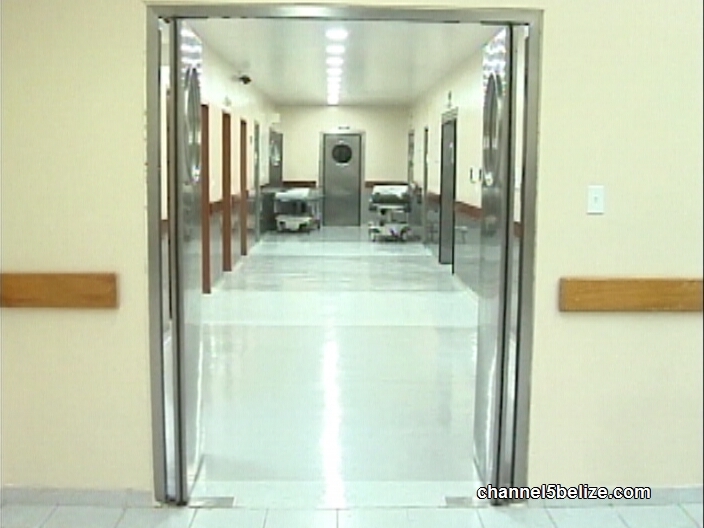 On Tuesday, the Karl Heusner Memorial Hospital Authority announced that the nation’s referral hospital was back to one hundred percent. 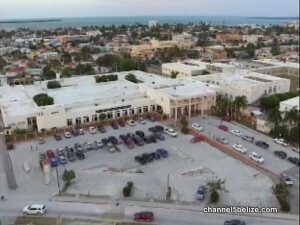 Essential services provided by the hospital were suspended for months after it was discovered that the roof was failing. Extensive renovations have been completed and today, the media was allowed to be part of a walkthrough of the hospital to view the upgrades to the operating theater suite and structural repairs. 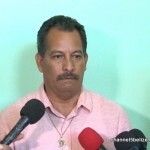 News Five’s Hipolito Novelo reports. After it was discovered that the roof at the Karl Heusner Memorial Hospital was failing, it was announced that works would commence on June eleventh, 2018. An assessment of K.H.M.H.’s infrastructure by local and international engineers revealed that further repairs were necessary, prompting the K.H.M.H.A. 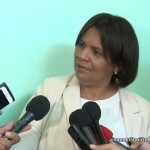 to raise one point six million dollars in order to restore the structural integrity of the hospital. 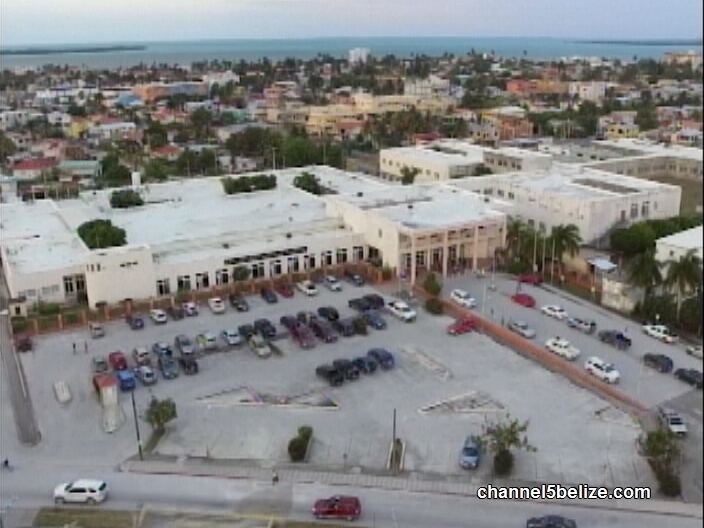 This caused the hospital to suspend its elective services and go into emergency mode. Today, everything seemed normal at the K.H.M.H. as full services have been restored. 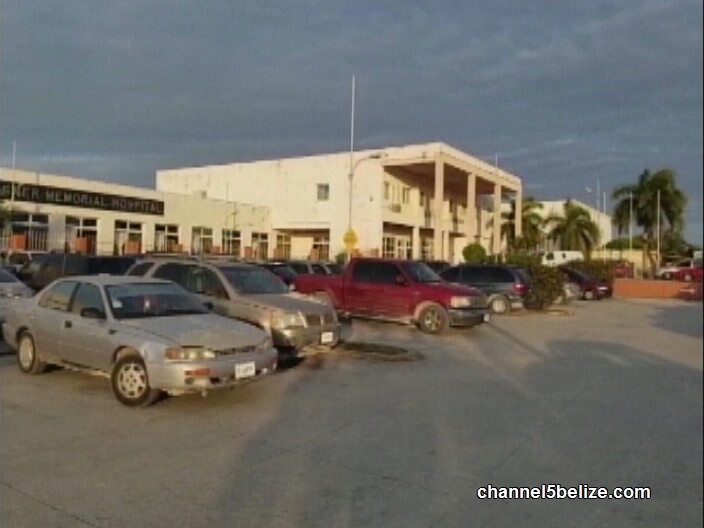 News Five along and other media houses were shown the infrastructural improvements done over the past few months. At the time it was discovered that the K.H.M.H. was experiencing structural failures, reinforcement pillars were temporarily installed. An engineering team from Mexico was brought in to inspect the damages and offer a permanent solution. K.H.M.H. 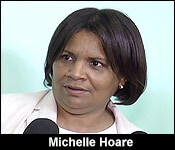 reduced services by fifty percent, dealing only with deliveries, Caesarean sections, and life-threatening emergencies. The K.H.M.H.A. has committed to address these sorts of issues in a professional and systematic way to guarantee the best possible outcomes with minimum disruption to the essential services that the hospital provides. 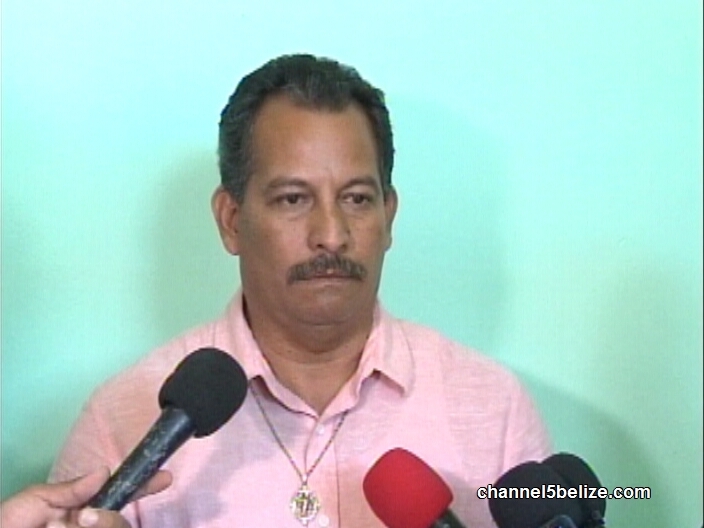 Joining the media in the walkthrough was Health Minister Pablo Marin who encouraged Belizeans to pay whatever they owe to the K.H.M.H. so that the hospital can be in tip-top shape.